And when I start I get an error: Failed to open/create the internal network 'HostInterfaceNetworking-en0' (VERR_SUPDRV_COMPONENT_NOT_FOUND). Failed to attach the network LUN (VERR_SUPDRV_COMPONENT_NOT_FOUND). I ran into the same problem and then I solved it. My installation environment is macOS High Sierra. Continue to complete the installation. Not the answer you're looking for? 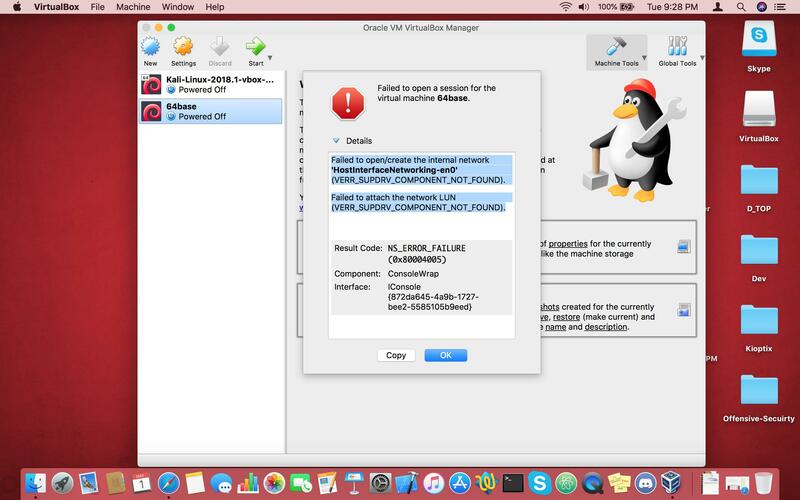 Browse other questions tagged network wifi high-sierra virtualization virtualbox . 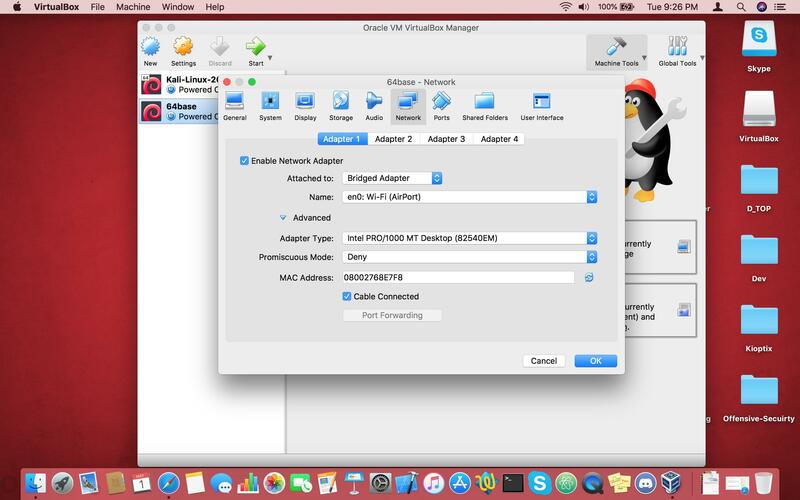 How to make the Macbook Air's Wifi connection as fast as a VM's? APFS: fsroot tree is invalid after Time Machine backup - how to recover and avoid in the future?